The iconic Lexus L-shaped Daytime Running Lights compliment the LED headlights, so your vehicle is immediately recognisable as a Lexus. With the smart key on you, the car senses your arrival and conveniently unlocks the doors. 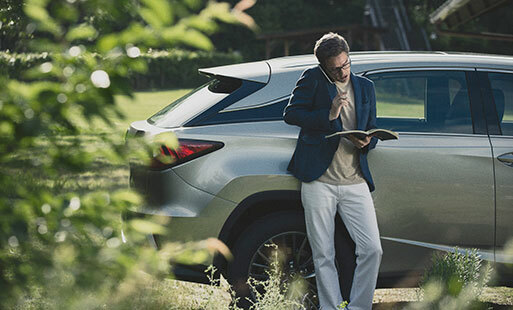 Under the bonnet, the Lexus RX 350 uses a 221kW, 3.5-litre V6 engine linked to an 8-speed automatic transmission. Overseas model shown. Know when vehicles are approaching in your blind spot, even at higher speeds with the Blind Spot Monitor fitted with a radar that detects up to 60 meters.